Can I fertilize my zoysiagrass now? 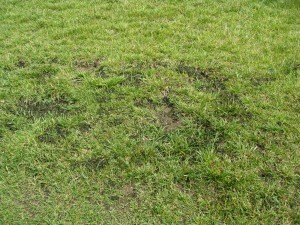 I’m seeing large patch. Large patch is caused by Rhizoctonia solani AG 2-2LP. 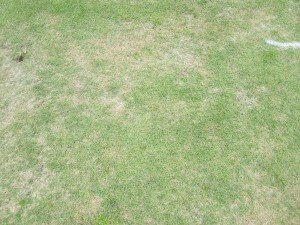 Brown patch of cool season turf is caused by closely related strains of R. solani. 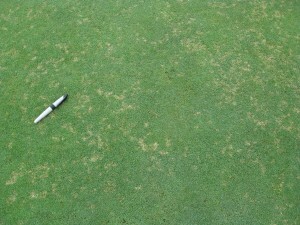 We know that fertilizer during brown patch season will enhance disease. 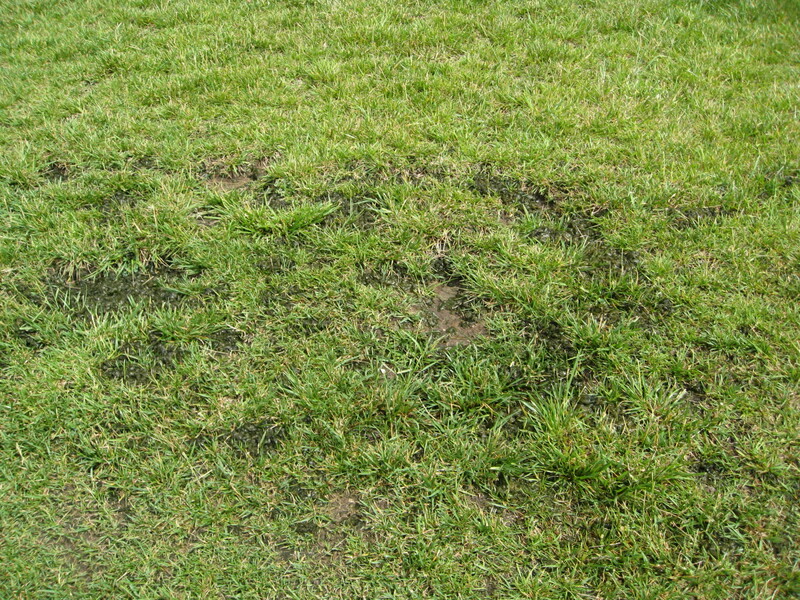 So – does spring fertilization increase the severity of large patch? KSU collaborated with Dr. Lee Miller at University of Missouri to answer this exact question. 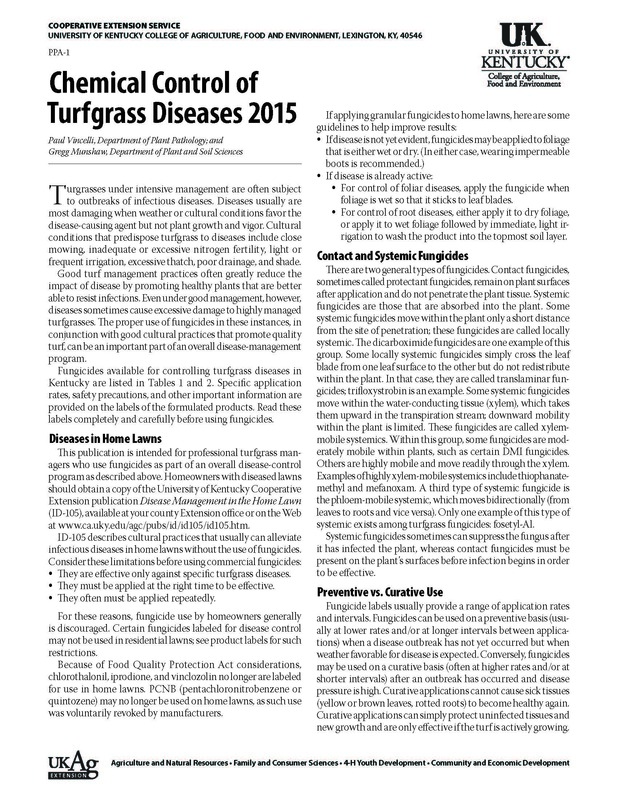 The paper was just published in Crop, Forage, & Turfgrass Management and the abstract appears HERE. One of the authors, Ross Braun, worked on this project as part of his M.S. project. 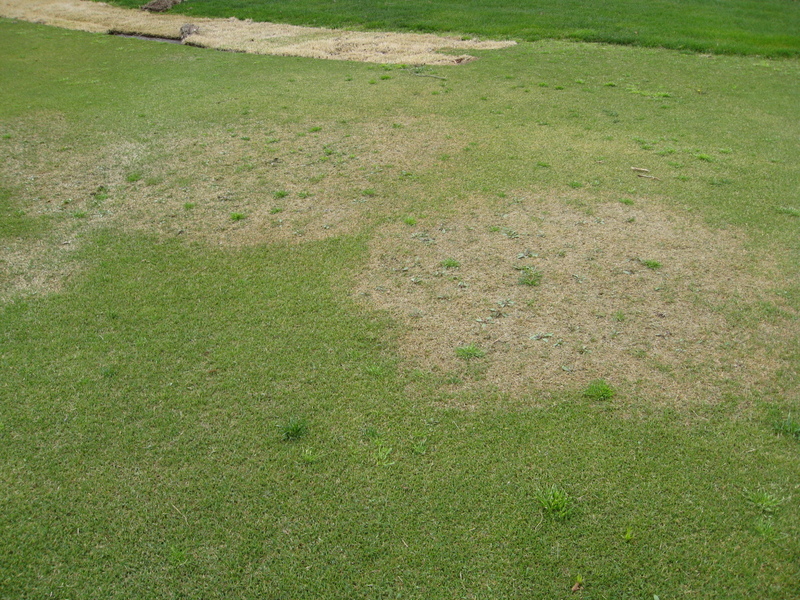 At both sites, we applied fertilizer (calcium nitrate, ammonium sulfate, or urea) when the 5-day 2-inch soil temperatures reached 60 or 70ᵒF in spring or fell to 70ᵒF in fall. 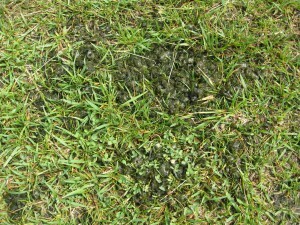 On those dates, the turf received 0.75 lb N/1,000 sq feet. 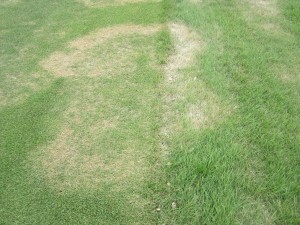 Those treatments also received some summer nitrogen, too, with 0.25 lb N/1,000 in each of June, July, and August. 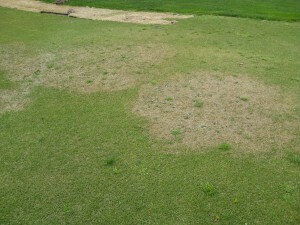 So, all treatments received a total of 1.5 pounds N/1,000 sq feet/year. 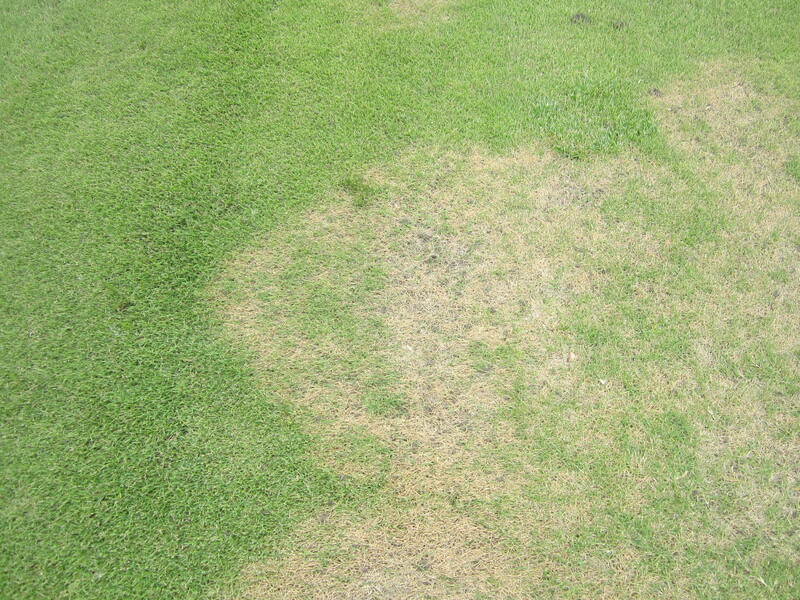 These early spring, late spring, and fall treatments were compared to summer-only controls which also received a total of 1.5 lb N/1,000 sq ft applied as 0.5 pounds in each of June, July, and August. 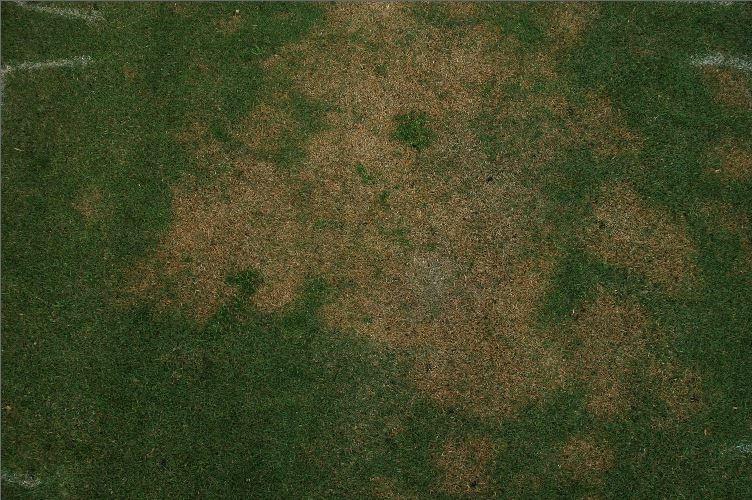 We measured percent green cover using digital image analysis. 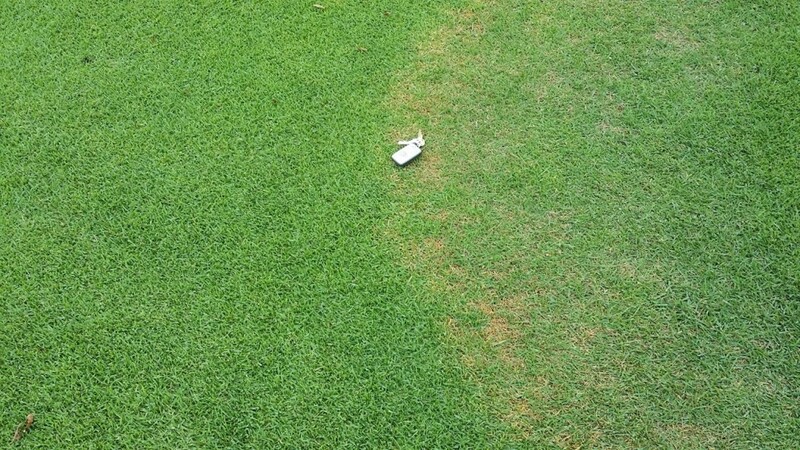 Both studies were done in the cultivar ‘Meyer’ at fairway height. 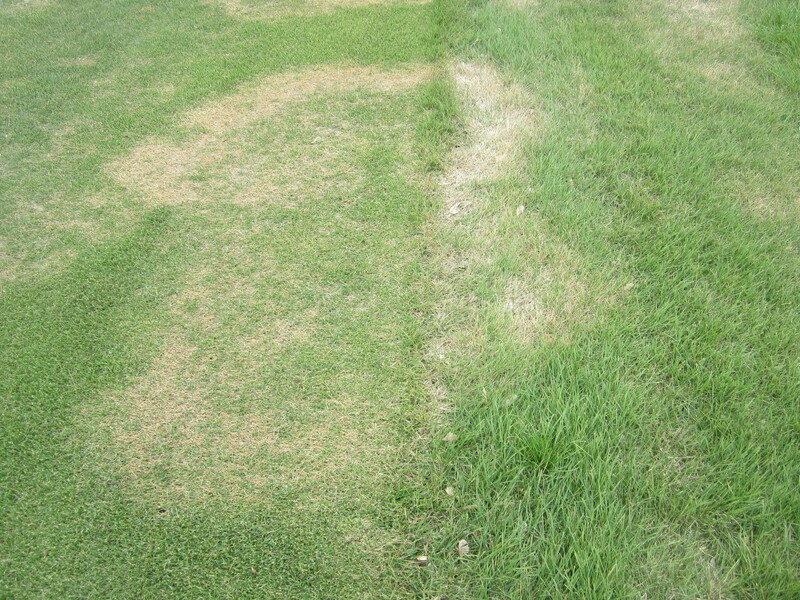 The grand summary is that the spring fertilizer applications at either 60 or 70ᵒF did not lead to higher large patch severity compared to the standard summer-only treatment. 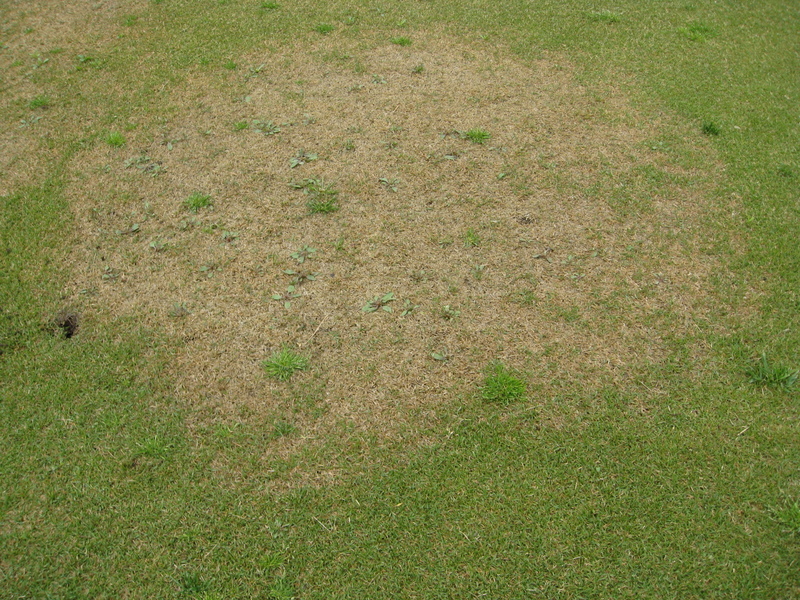 This builds on and confirms prior KSU work by PhD student Ken Obasa (click HERE for the abstract of the publication) where we also found that spring applications did not enhance disease, though in that study we did not use defined soil temperature thresholds. 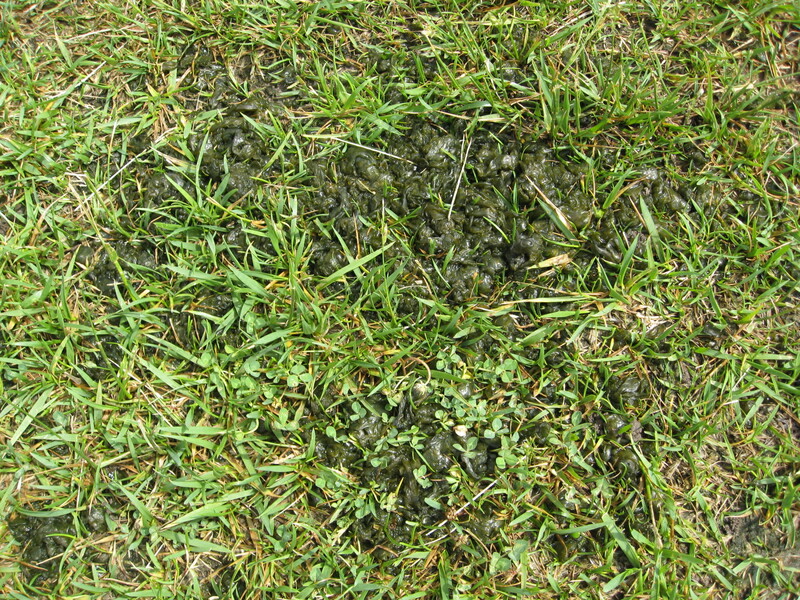 In that study we found that spring and fall fertility sometimes had greater green color than summer fertility treatments. Right now in Manhattan, our 2-inch average soil temps are in the low to mid-60’s, so we are in the range where those spring fertilizer applications were shown to be “safe.” We did not look at fertility at temperatures lower than that. 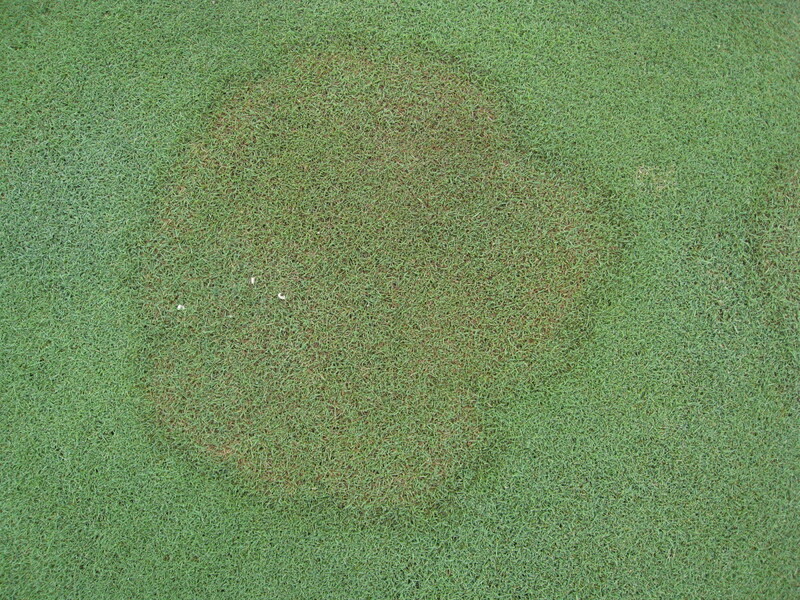 So, you should be in the clear, and a little N may boost green color and help you grow out of the disease symtoms. 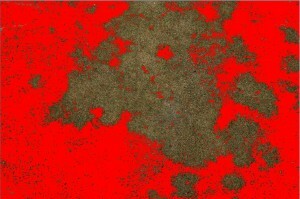 What about nitrogen source? 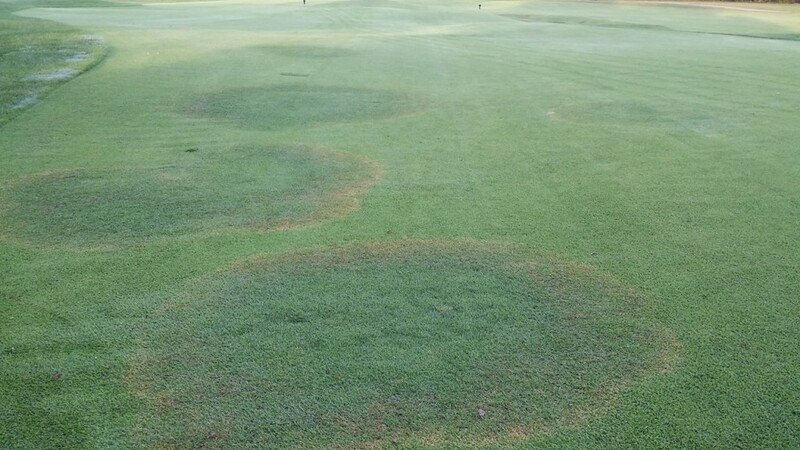 On some of the rating dates at both sites, disease severity was higher in plots treated with ammonium sulfate compared to other sources. The effect was not huge, but was significant, so you might want to shy away from ammonium sulfate if you have some large patch at your site. 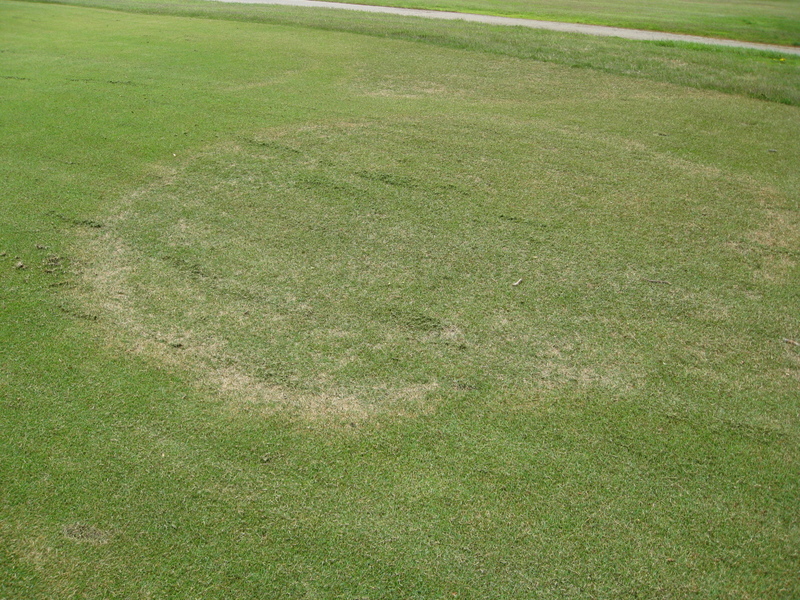 Dr. Miller’s program is following up with even more studies to hone in on large patch and cultural practices, so we will stay tuned to see how those turn out. 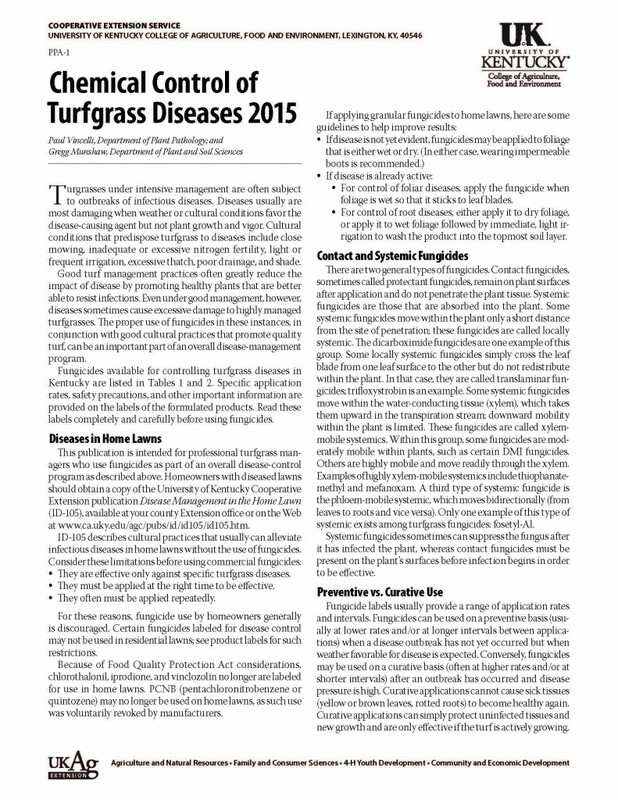 This guide from University of Kentucky (Paul Vincelli and Gregg Munshaw) is updated every year with new products and all the latest research findings. Bookmark it, print it, use it, love it. 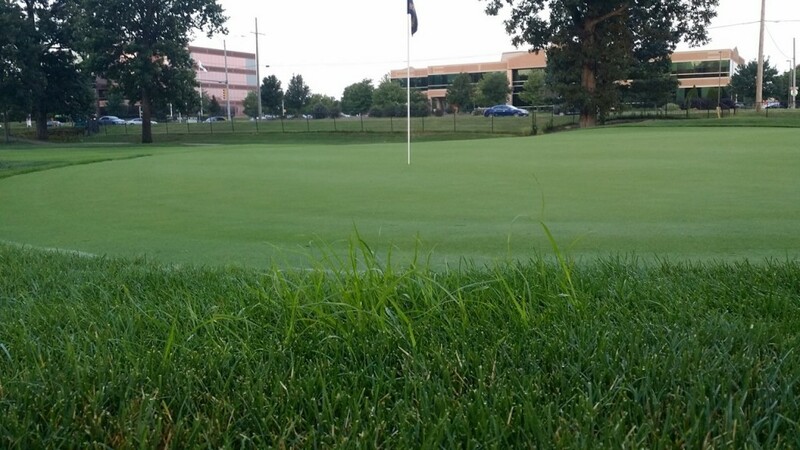 Thanks to Mark Newton at Deer Creek Golf Club in Overland Park for sending in these photos. Mark said it was alright to share where these came from – thanks Mark! We always appreciate reports and photos from the field. If you are okay with us putting your name on there, that’s great, and if you prefer to stay anonymous, that works too. 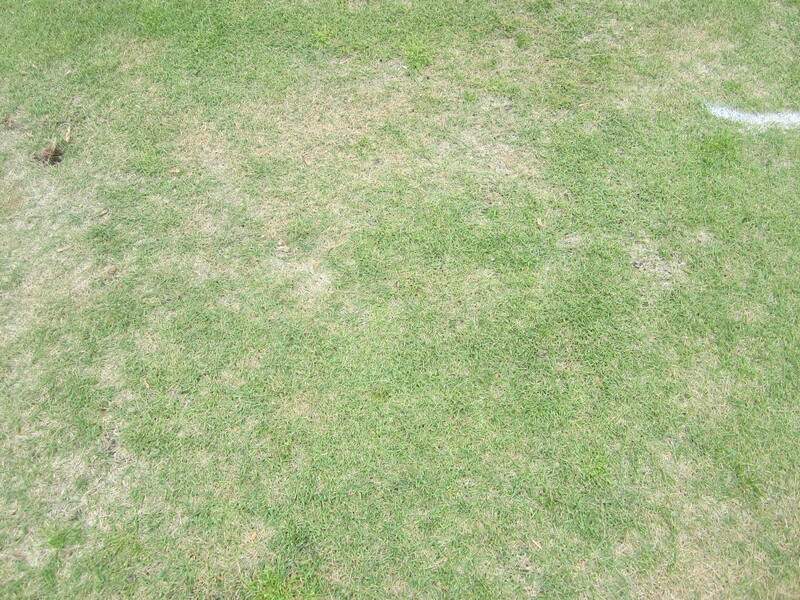 Anyway, Mark is seeing some early large patch in the zoysiagrass fairways. This past week has been hot, but we’ve had some cool spells that could have given the fungus a kickstart. And, we’ve had some rains, too. 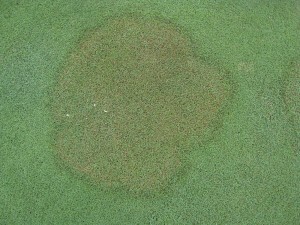 Large patch is favored by wet conditions. 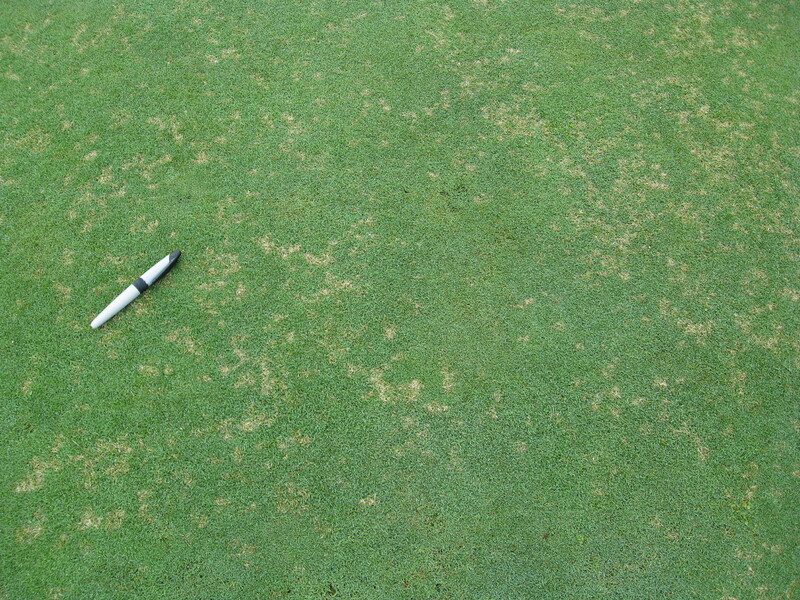 Symptoms are most common and tend to be most severe in spring, like April through early June. 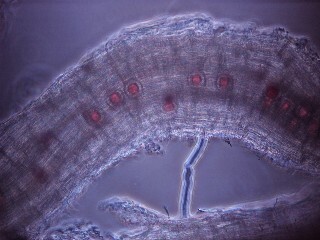 In the fall, we sometimes see symptoms in September, but it can occur earlier or later. 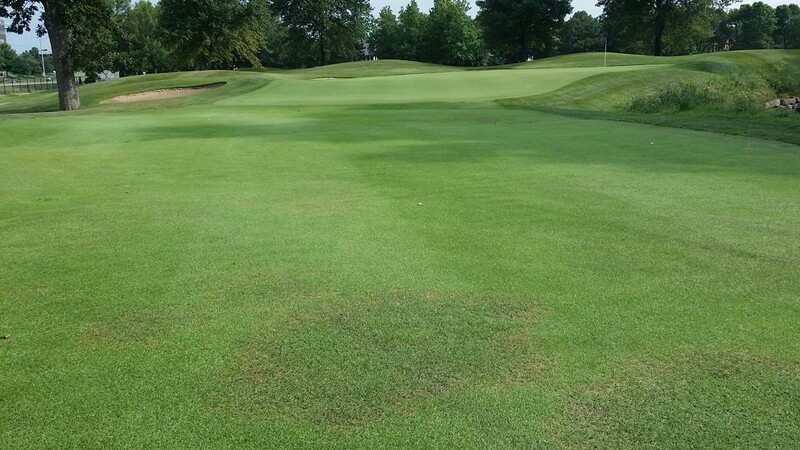 In fungicide trials at KSU we’ve seen good results suppressing symptoms the following spring by applying fungicides once in September. We’ve applied as early as Sept 3 and as late as Sept 30th and gotten good results with all those timings, using DMI’s, QoI’s, and flutolanil. 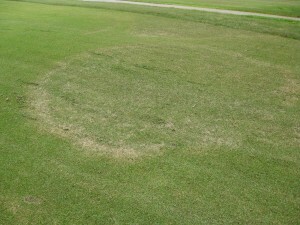 The temperature in the thatch has been 65-70 degrees during those application timings. 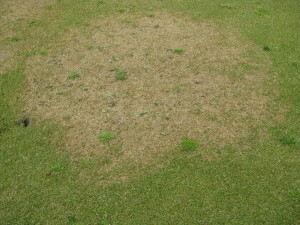 Along with the large patch, there is some nutsedge action and a good pic of that is shown below as well.